For a limited time only, 50% off! Install it on up to three (3) computers, plus all 1.x upgrades free! Want to play that progression using different strings, another place on the neck, or in a different tuning? Or, play it on a 7-string guitar? 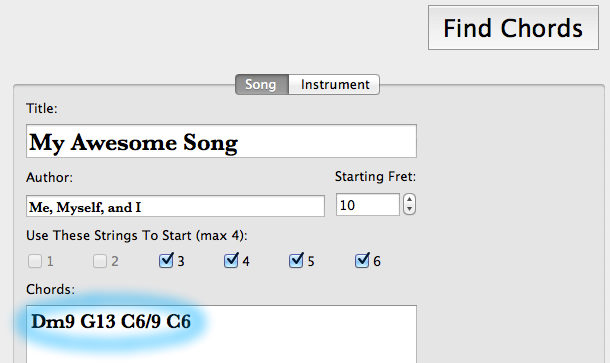 ChordCommander lets you customize the number of strings on your instrument, as well as the tuning of each string. Left-handed players, rejoice! ChordCommander has handy instrument pre-sets to reverse standard tuning. No more translating right-handed chord charts! Simply enter the chords you want to play, show where you want to start playing on the guitar, and ChordCommander will generate easy-to-read diagrams for what strings and frets to play. 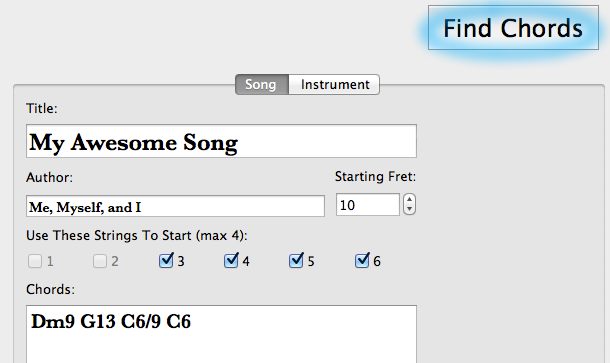 What's more is, ChordCommander will automatically generate voicings that make musical sense! No more digging through chord charts or jumping around the fretboard. ChordCommander can understand vitually any jazz chord. From ninths, thirteenths, diminished, altered, etc. 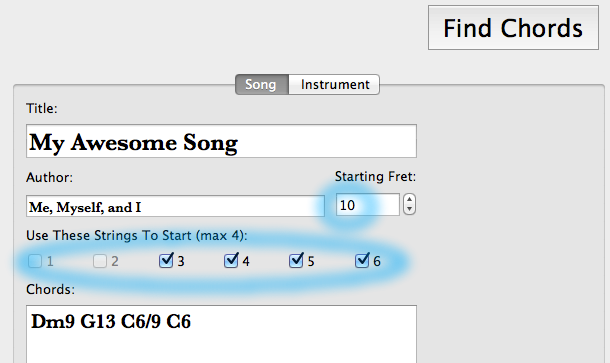 No knowledge of music theory necessary, it does all of the hard work for you using cutting-edge algorithms. Ideal for beginners and experienced players alike, it can make a tough jazz standard playable by anyone, or it can give seasoned veterans new ideas. Play bass? Ukulele? We got you covered. There are pre-sets for four, five, and six-string bass, as well as ukulele! Check out the product manual to see all of the features included in ChordCommander!